Help! I Don’t Have Ag Experience! According to the most recent Job Report from AgCareers.com about 32% of our applicants aren’t coming from an agriculture-related job or educational program. That doesn’t mean that there isn’t a place for these non-ag candidates on AgCareers.com-quite the opposite actually. 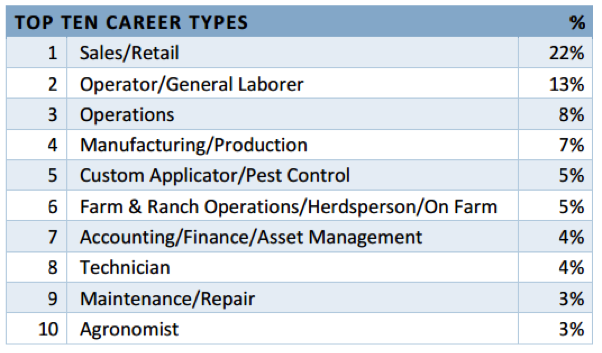 Looking at the top ten careers types posted on AgCareers.com, many of them aren’t ag-specific. 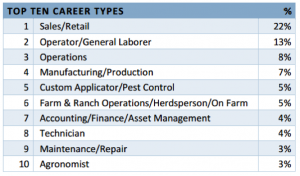 Types like sales, labor, manufacturing, accounting, maintenance, and technicians aren’t necessarily ag-specific roles. 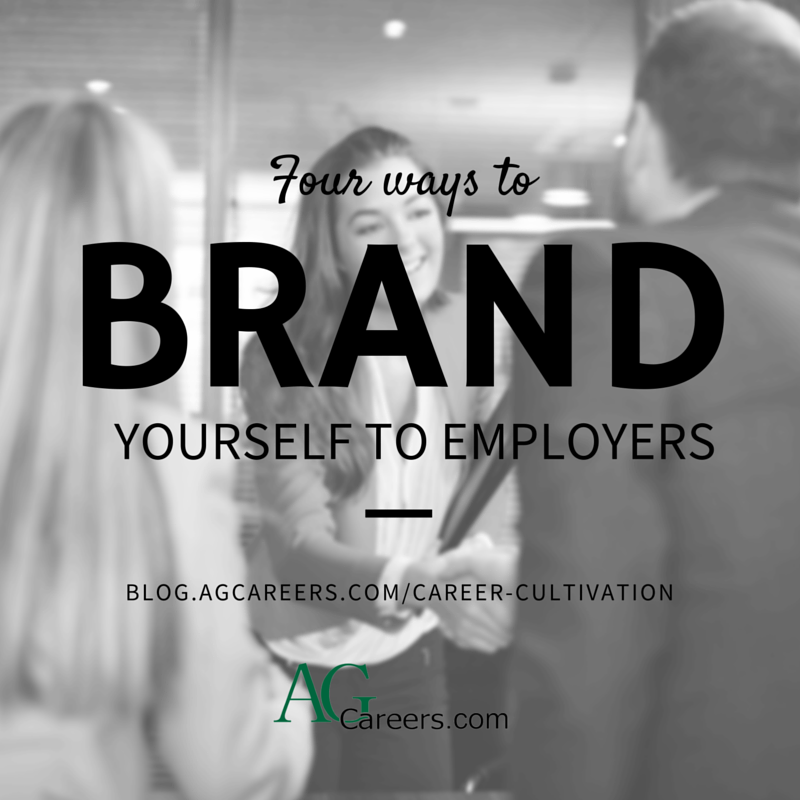 Many of these job postings may require knowledge of the agriculture industry, without having been immersed in it with previous work place employment. Being realistic about your prior education and experience, your job is to relay to the company that your skills and experience are transferrable to what they are looking for. Traditionally resumes have focused on job duties and tasks performed, however now employers find skills and achievements more important. If you did sales for a non-ag product, don’t focus on the product and your sales process. Instead, highlight what you accomplished, did you increase sales by a certain percentage over time, did you bring on a certain number or percentage of fresh clients, did you do your own business development and lead sourcing. Show that you were creative in territory expansion and revenue increases. To the employer revenues are the top priority – you can teach someone a new product, but you can’t easily teach sales skills. 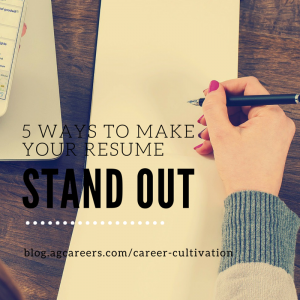 Working on crafting your resume? As you likely already know, the competition is fierce. How will you make your resume stand out? Use these helpful tips and you’ll likely receive a call asking for an interview. 1. Visual Aids – Take your formatting to the next level and add dividing lines between sections. If you are providing a copy of your resume and they will accept PDF make sure you submit with PDF. This ensures that your hard formatting stays put and doesn’t change depending on their version of Word. Don’t be basic, so use font styles to dress it up. Examples are – Underline section titles, bold job titles, and italicize dates. 2. Loyalty is key – If you have been jumping around between jobs this shows a lack of loyalty. Try to stay at a job for at least 3 years before making career moves. Obviously there are exceptions but be prepared to explain them in your interview. Entering the job market immediately after college can be tough, especially when so many other grads are eager to accept positions at the same time. As friends and classmates, you all attend the same networking dinners and career fairs. 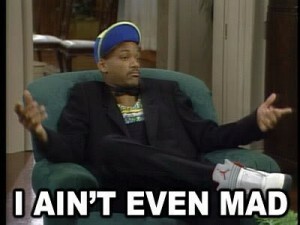 How do you make yourself memorable without being remembered as obnoxious? 1. Engage with employers in a way that reflects your interests. I’m all about killing two birds with one stone. By interact with a company in a way that demonstrates who you are, it gives you the chance to show off your strengths while expanding your network. If marketing and communications are your thing, try sharing a few of their social media posts or commenting on their blog. Maybe you see yourself as an outstanding sales candidate for the company. In that case, show your interest by calling to ask for a job shadow or arrange a coffee meeting to sell them on you.